Join the Brothers of Kappa Alpha Psi Fraternity Inc. in association with Bowie-Mitchellville (MD), College Park-Sandy Spring (MD), Fort Washington (MD), and Washington (DC) Alumni Chapters for an elegant All Black Formal Affair Evening on Friday June 23rd from 9 pm. to 2 am at the MGM National Harbor Hotel Grand Ballroom, 101 MGM National Avenue, Oxon Hill MD 20745. The Black Affair After Party is in Felt Lounge and Blossom Lounge located on the MGM Casino floor! The After Party is free for each patron! Formal Attire is preferred. 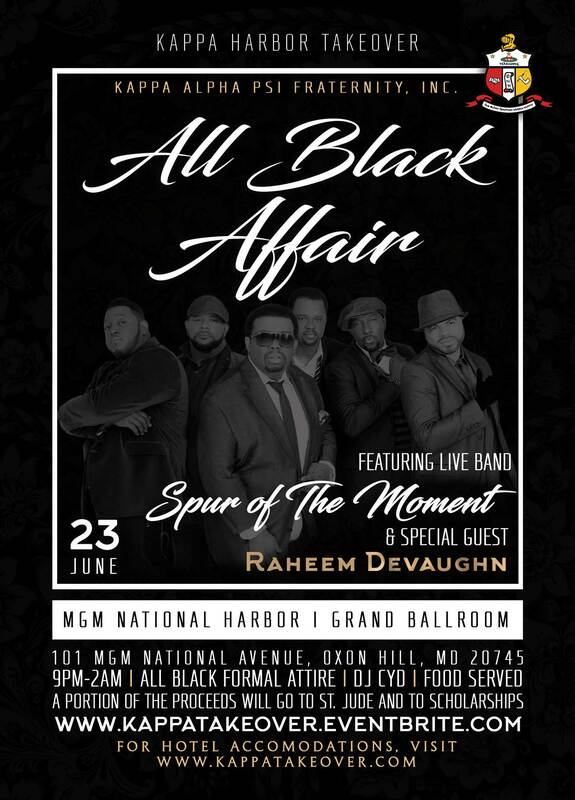 Entertainment provided by Spur of Moment with special guest Raheem Devaughn and sounds by DJ Cyd. Heavy hors d'oeuvres are served! A portion of the proceeds from this event will be donated to St. Jude Children's Research Hospital and the scholarship programs of each chapter. WE EXPERIENCED HEAVY EARLY BIRD SALES. THIS EVENT IS SELLING OUT. GET YOUR TICKETS NOW! 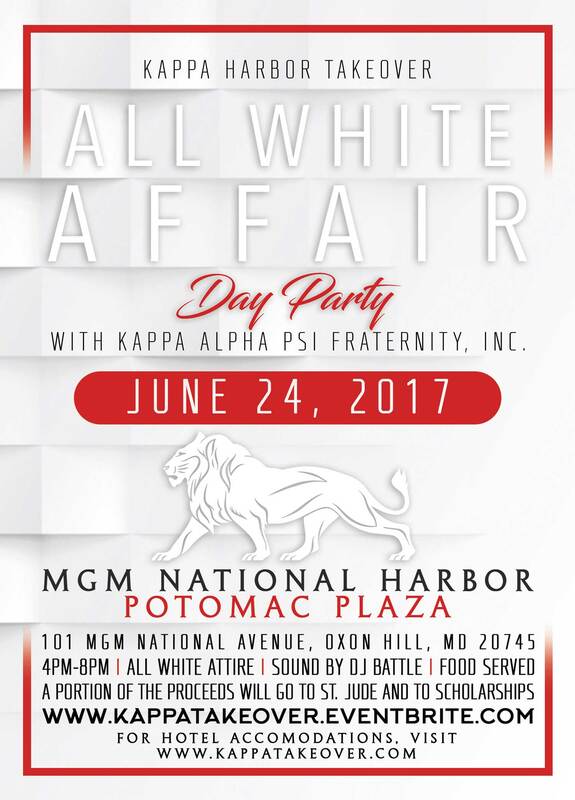 Join the Brothers of Kappa Alpha Psi Fraternity Inc. in association with Bowie-Mitchellville (MD), College Park-Sandy Spring (MD), Fort Washington (MD), and Washington (DC) Alumni Chapters for a All White Affair Day Party on Saturday June 24th from 4 pm. to 8 pm. at the MGM National Harbor Hotel Potomac Plaza overlooking the Potomac River, 101 MGM National Avenue, Oxon Hill MD 20745. The White Affair After Party is in Felt Lounge and Blossom Lounge located on the MGM Casino floor! The After Party is free for each patron! Light hors d'oeuvres are served! Who is Aphelion Cigars? What’s in a name? The CALPRO Group offers over 25 years of experience in planning, management, marketing & entertainment for conferences, conventions, tradeshows and all special events within the Hospitality and Meeting Planning Industry. The newest addition to the MGM Resorts International portfolio, MGM National Harbor is a Destination Resort on the eastern shore of the Potomac River in Maryland. Inclusive of a premier hotel, casino, dining, and shops; The MGM National Harbor is on par with the other MGM iconic hotels, including Bellagio, MGM Grand, Mandalay Bay, ARIA and The Mirage. Join the Brothers of the Bowie-Mitchellville, College Park-Sandy Spring, Fort Washington, and Washington alumni chapters for an elegant All Black Formal Affair Evening from 9 p.m. to 2 a.m. at the MGM National Harbor Hotel Grand Ballroom, 7100 Oxon Hill Road, Oxon Hill MD 20745. Formal attire is required. Entertainment provided by Spur of the Moment and Featured Guest and DJ Flex of WPGC. Partial proceeds from this event will be donated to St. Jude's Children's Hospitals and the scholarship programs of each chapter. We are pleased to announce we achieved our St. Jude Children’s Research Hospital fundraising minimum during the Kappa Takeover 2017! We are still receiving donations and pledges so please learn more about this cause and join the team! We are also pleased to announce we achieved our fundraising minimum during the Kappa Takeover 2017! We receive donations throughout the year as our programs operate consistently. Please take the time to learn more about Guide Right and support our efforts to help our young men! 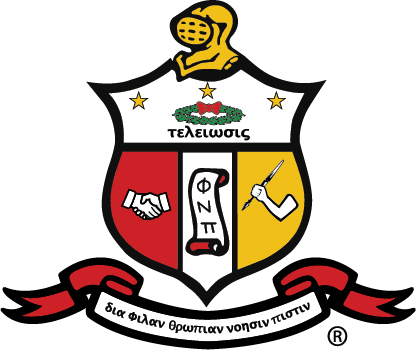 With more than 650 alumni and collegiate chapters in the United States and across the world, Kappa Alpha Psi is recognized as a major contributor to the advancement of the African American community. In July of 2005, Kappa Alpha Psi further demonstrated its commitment to community by partnering with St. Jude Children’s Research Hospital at the 76th Grand Chapter in St. Louis. Please join us as we aim to raise funds for the children battling sickle cell, cancers and other catastrophic diseases at St. Jude. The philanthropic arm of the College Park-Sandy Spring (MD) Alumni is the Kappa Community Development Foundation, Inc. (KCDF). The KCDF funds the Guide Right and Scholarship Programs of the College Park/Sandy Spring (MD) Alumni chapter and is a separate organization controlled by the chapter. The purpose for which the Corporation is formed is exclusively for educational, life skills development, charitable and other similar non-profitable purposes, as contemplated by Section 501© (3) of the Internal Revenue Code of 1954. The Bowie/ Mitchellville (MD) Diamond, Inc. (Foundation) is a nonprofit charitable entity that has been granted tax-exempt status by the Internal Revenue Service as a Section 501(c) 3 organization in the State of Maryland. The Foundation is the philanthropic arm of the Bowie-Mitchellville (MD) Alumni Chapter of Kappa Alpha Psi Fraternity, Incorporated. The Washington Alumni Chapter has established a Community Service and Social Outreach Committee with the Mission and Purpose of meeting that objective. Provided families throughout Washington, DC with over 250 Turkeys through our Annual Holiday Giving initiative. Fundraised and donated over $25K for the St. Jude Children Hospital through its Sunday of Hope Program. Volunteered in cleaning the Anacostia River. Made charitable donations to organizations East of the River that promoted putting a stop to violence. Check out the 2017 Gallery!